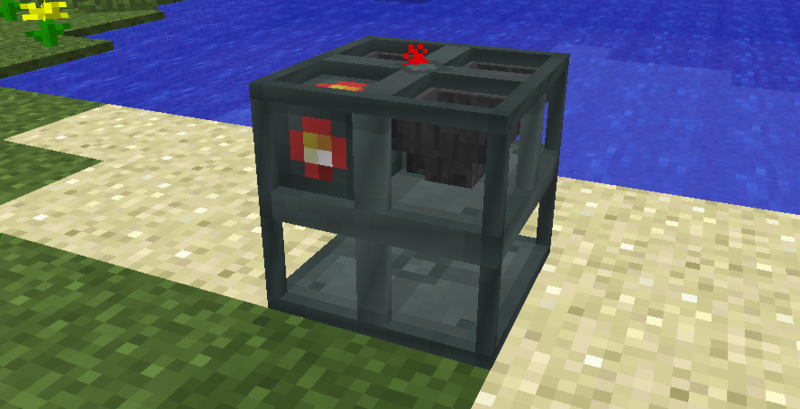 EnderIOAddons is a mod that adds a couple of machines to Ender IO. I started it to have a way to publish some of my machines that don't fit quite into the main mod. Here some things may not be quite as serious, balanced or in the theme. At the moment EnderIOAddons is in beta. That means it wasn't widely tested and that there are way more machines on my TODO list than are actually implemented. Note: You alse need the waterhook library if you want The Drain to remove water from the world. Otherwise infinite water pools will remain. More informations on these machines, as well as some video tutorials are available on the Wiki. More images are in the image gallery. 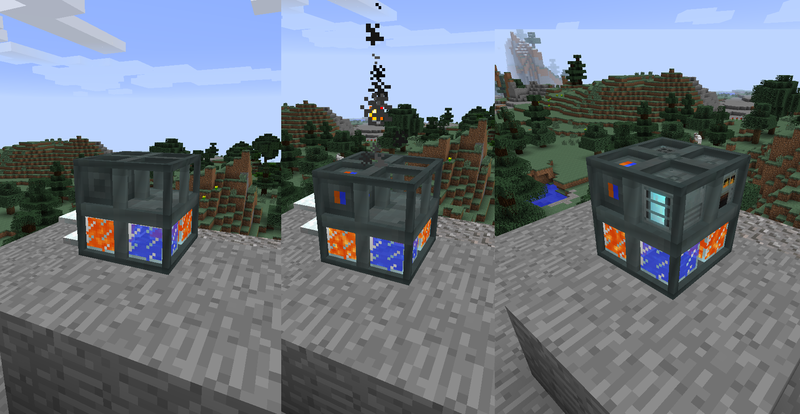 The Cobblestone Framework is a machine that generates Cobblestone by using its internal Lava and Water store. 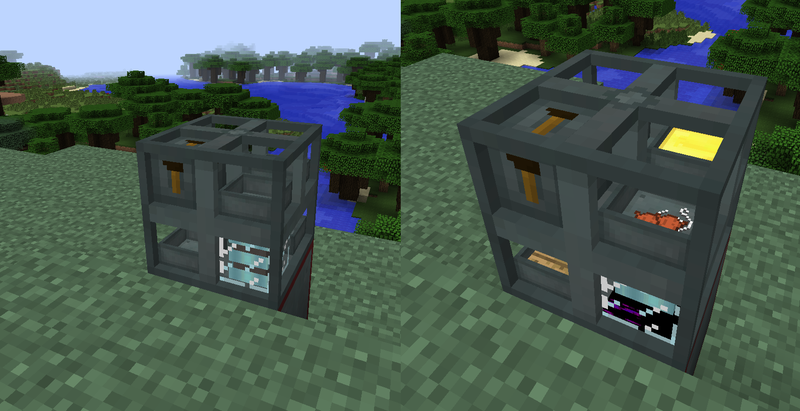 It has 3 upgrade slots that allow it to process the generated Cobblestone further. The Drain is a pump-like block. Just like a real-world drain, it collects fluid that run into it. Much like its real-world counterpart, it has to be placed low into the the liquid you want it to pick up. The Impulse Hopper (new in version 0.2.0) is a bit like a hopper (hence the name). However, instead of simply moving one item a time from its input, it always moves a complete "set". And the set can be configured. So you can tell it, that it needs to move "1 red flower, 17 stone bricks, 5 gold ingots and 1 potion of invisibility" at a time. It will then do so---but only if it has all the items. The Niard (new in version 0.3) is the opposite of the drain. It places liquids into the world. Put it over a hole, supply it with RF and some liquid, and see the hole fill up with the liquid. 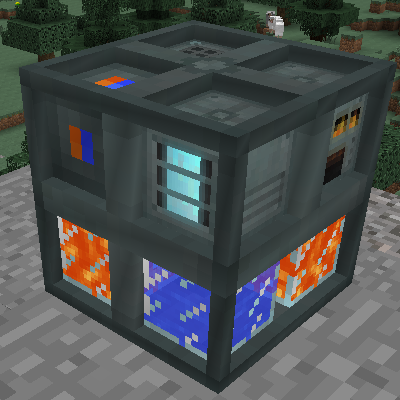 Lighting a Nether Portal inside a reinforced tank should yield a tank that can transfer water into the Nether, shouldn't it? 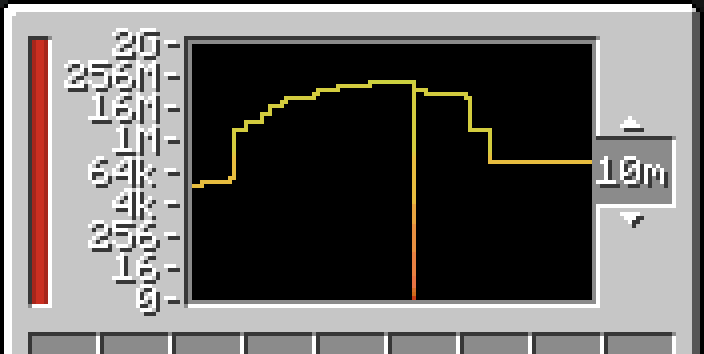 The Graphical Power Monitor (new in version 0.5) allows you to see the history of the amount of power stored in your capacitor banks. The Loot Recycler (new in version 0.6) lets you recycle all those useless bows and golden boots you get from your mob grinder. Please note that this is not an universal recycler. It only processes vanilla and Ender IO tools, weapons and armor However, it also strips the enchantments off those items. The Magnetic Flag (new in version 0.7) is your way home! Yes, we all know about "torches on the right", but sometimes you need a way marker that is a little bit more sophisticated. These flags are. When you place one, it will automatically point to the last one you placed from the same stack. You can also "re-aim" a stack by right-clicking a flag or "un-aim" it by putting it in a crafting grid. Flags need to be magnetized in the Magnetic Charger (new in version 0.7) before first use. There are 16 decoration blocks (new in version 0.8) included in Ender IO Addons. Six of them show the normal Ender IO machine textures. One has the "down" texture on all sides, one the "up" texture, one the "side" texture and one the "back" texture. Two have correct tops and bottoms, one with "sides" all around, and one with "backs". The AgriCraft Farming Station (new in version 0.9) allows you to automate the farming of Agricraft plants. 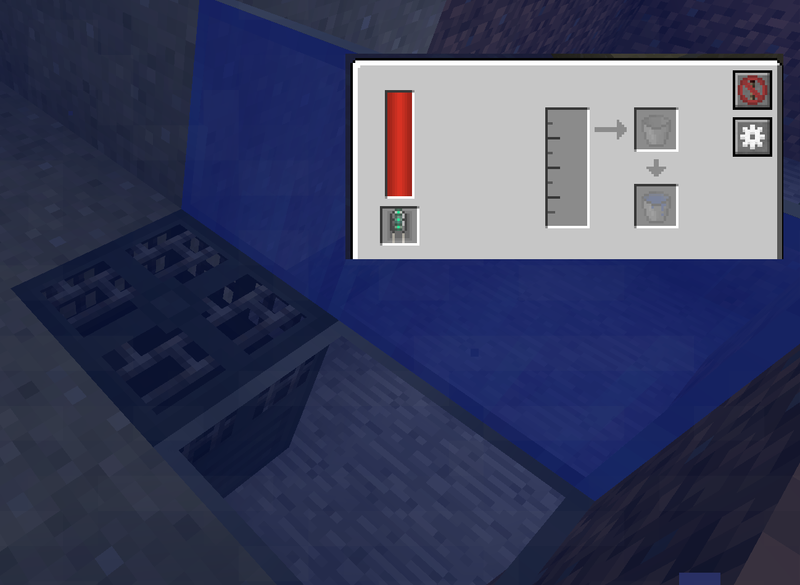 The Food Drain (new in version 0.10) is an upgrade to the Drain. By food-grade coating it, it is able to safely process milk. I'm loving this companion mod for creating new possibilities with projects. Hands down the Agricraft Farming Station is amazing and my favorite addition so far. 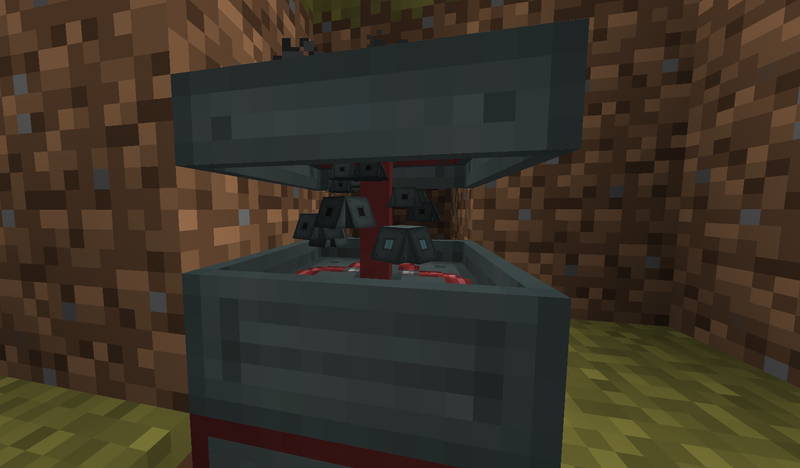 I like Agricraft, but I love automating it even more. Thank you for creating Ender IO Addons! A Niard, huh? *facepalm* Looks like somebody is following the pokemon naming scheme. if possible could you make this an option in the config file that is disabled by default ? The new hopper is EXTREMELY useful!!!!!! Please keep adding more machines like that! You have thumbs up from me dude. Any plans for the future to add on to this or is what you have here all you gonna add? I have a lengthy TODO list of machines to add. The Waterworks is done and only needs a couple of hours configuring (or a rewrite if I find the current config system too complex afterall), the Impulse Hopper is in early stages of development, and about 7 others are in the idea phase. It takes a while to finish a machine from start to finish. I also contribute to Ender IO, that doesn't speed things up.